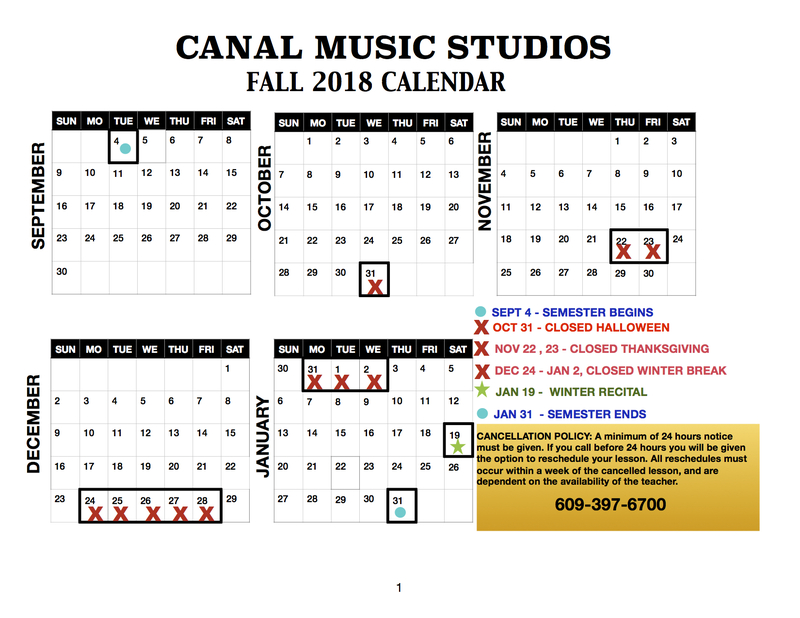 Below you will find our 2018 Fall Calendar of closures and holiday breaks, as well as the beginning and ending dates of the semester. Remember, you can always save money on your tuition by taking advantage of our semesterly rate. Please contact us at 1-609-397-6700 or speak to one of our desk attendants to switch over to the semester pricing.